Baby Ayaan just took his first steps a few months ago. 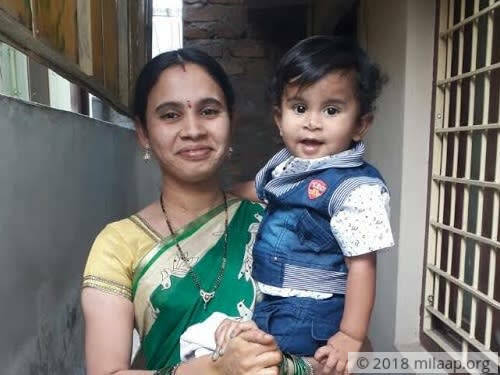 Sadaiah and Ramadevi’s small home was filled with his happy giggles as he walked around the house, sometimes falling and sometimes stumbling. But now, Ayaan can’t even sit up without support. His parents carry him everywhere. His loud, painful cries have replaced his sweet smile because of blood cancer. Sadaiah and Ramadevi are distraught at the thought of losing their only child. 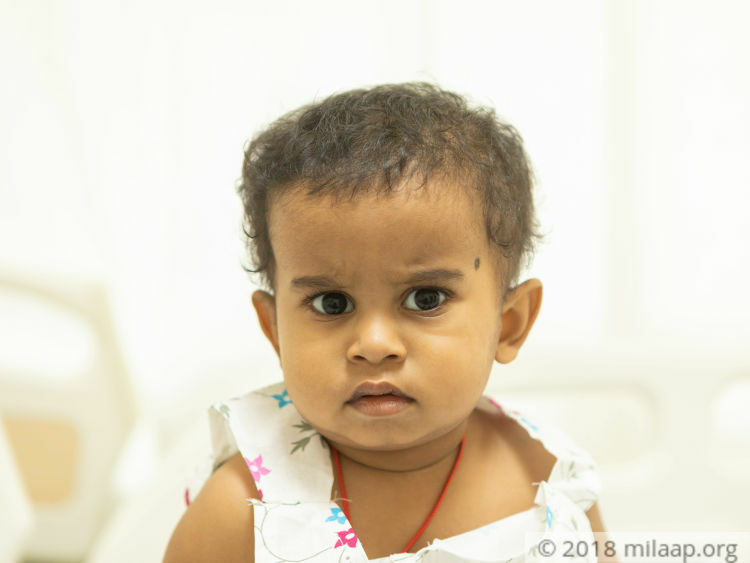 When Ramadevi took baby Ayaan to the doctor for a fever, she was told that it’ll subside in two days and she had nothing to worry about. Unfortunately, his fever proved to be relentless. Ayaan was restless, weak and extremely quiet for days. Sadaiah works as a teacher in a school in Hyderabad. Every day he would eagerly wait to go home in the evening and play with his baby. Now Sadaiah goes straight to the hospital after work to see Ayaan when he’s getting treated. On some days, his baby is so sick that he can’t even go to work. Sadaiah earns 15,000 per month and has managed to spend 2 lakhs on his baby’s treatment by using his savings. But they’ve now exhausted everything they had. 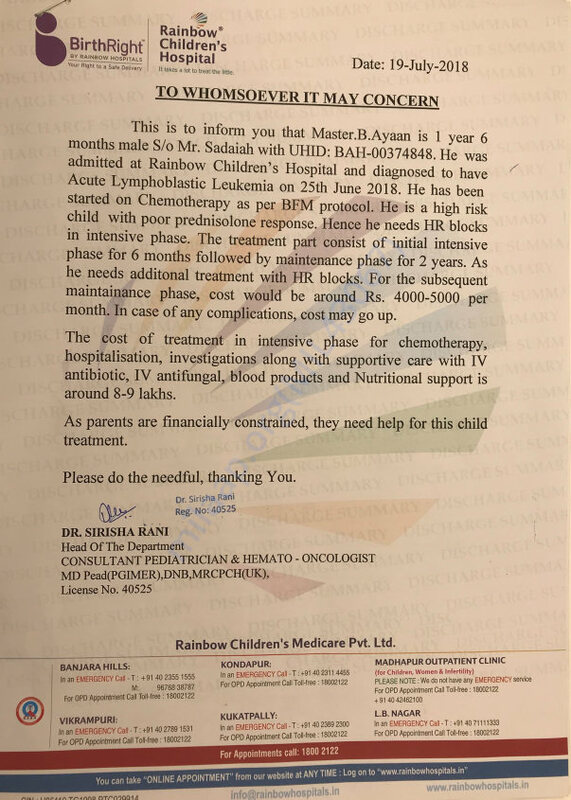 Baby Ayaan started chemotherapy immediately after the diagnosis. However, he still needs aggressive chemotherapy for the next 6 months to survive cancer. 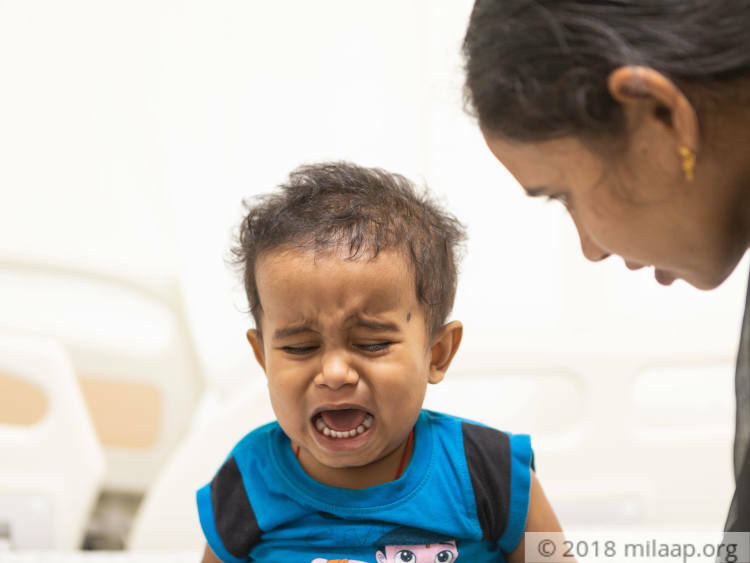 He’s only 1.6 years old, and his days are filled with nothing but pain. 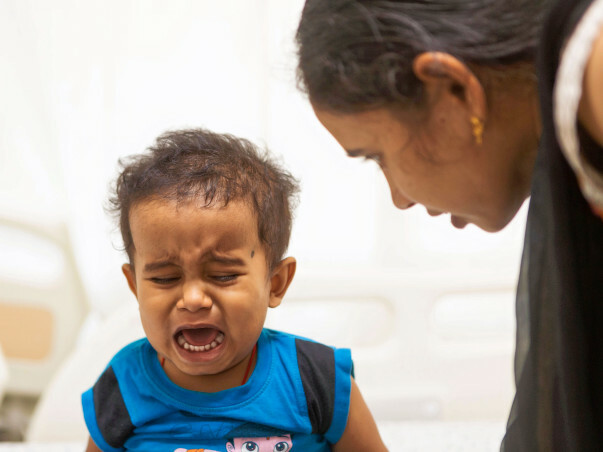 Baby Ayaan has his entire life ahead of him, but without treatment, he faces death. Sadaiah and Ramadevi have little left to save their only child and are desperately looking for help. Your support will save baby Ayaan’s life. The kid has undergone BMT, the kid is recovering slowly. Now the kid is at home, the family is in continuous follow up with the hospital as suggested by the doctor. Ayaan is doing ok. Patient got discharged after receiving Chemotherapy. He is doing good and is responding to the treatment. We are grateful for the love and support shown towards Ayaan. He has completed his 4th cycle of chemotherapy and had severe side effects. His heart rate and blood pressure dropped and he was moved to ICU as he was in a critical state. He has recovered now and has been discharged. He has a check up in a few days to ensure his blood counts have improved and the next round of chemotherapy will be started.